Southern Hills Country Club offers event-planning services for their clients who book the venue for their wedding, party or event. The certified planners at this company know how to use the venue to the fullest, accentuating the views and completely taking advantage of all the space and the services the venue has to offer. In addition to this, these planners have lasting relationships with local vendors, that you will be able to take advantage of when the help you plan your event. 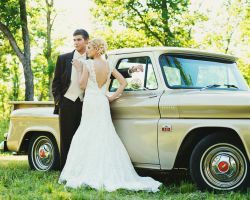 The Blue Cottage is a venue that is also the home of one of the most experienced wedding consultants in Oklahoma. From the design of the event to helping you find the right vendors and so much more, the wedding planners at this venue can make your dream day come to life perfectly. There is nothing better than having a custom event to celebrate the love you share with your partner, and more than that, there is nothing better than having that day created with little stress to you. Classie Party and Event Planning is one of the only planning companies in the area that offers such comprehensive services. The first step is to meet with the certified designer and coordinator. 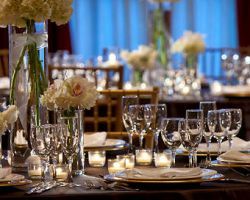 At this meeting you will discuss what you would like for your big day while they guide your ideas to form one unique event plan. From there, you will be in control of the big decisions while this company deals with the stress of working with vendors and making everything come together on the big day. Whether you are a local couple or planning a destination wedding in Tulsa, Mom and Me Events will make you feel like a celebrity as they take care of all of the details and take on all of the stress of planning your wedding. This company is operated by a mother-daughter team that has a passion for weddings and a passion for creating fun and beautiful events. Whether you need their help from the very beginning or need them on the day, they can customize their services to suit your needs. 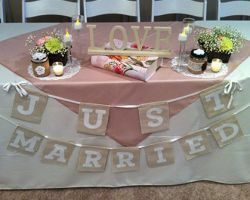 Take Heart Events is one of the top wedding planners in Tulsa, OK. 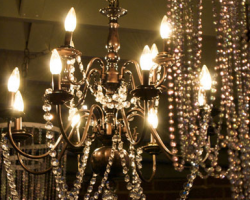 This company plans and designs events to the style of their clients. This team has over 5 years of experience meaning they have successfully planned many events, but are new enough to the industry to still have fresh and modern ideas. 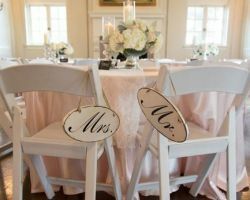 For weddings, they offer a variety of options for the couple to choose from based on whichever phase of the planning process they are in already. Staying on budget and ensuring everything on your checklist has been done can be a stressful process, but one that can be made much easier when you use the wedding planners at Cherokee Spur Ranch Events to help you make your dream wedding a reality. When you book this venue, you will have complete access to these professional wedding planners and event designers. They can take your ideas and make them come to life while leaving you to enjoy your big day and the planning process. There is a certain flow and ease that every wedding should have and that is exactly what Weddings by Williams works to achieve. 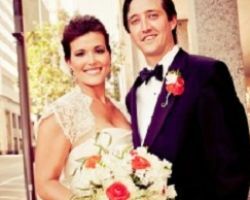 They design and plan beautiful weddings, specializing in the roles of organizer and coordinator on the day of the event. Having this team help you plan your big day and be there to help things run smoothly behind the scenes will ensure that your event looks effortlessly beautiful and flows from one aspect to the next with ease. Planning a wedding means making countless decisions, dealing with many different vendors, and taking on the stress of the process. When you have your wedding at the Marriott Renaissance Tulsa, you will have access to their expert planners who will make the process much easier and much more enjoyable for you. 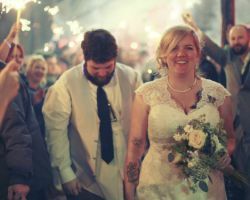 From knowing what the venue can offer to knowing which local vendors will match your style, these planners truly are the best Tulsa wedding planners there are to plan your big day.